Alvin Ailey American Dance Theatre (AAADT) celebrates its 60th anniversary with a tour through the U.S., including its biennial return to the Music Center’s Dorothy Chandler Pavilion in downtown Los Angeles, Wednesday, April 3 – April 7. According to the AAADT website, the company is recognized by Congress as an American “Cultural Ambassador to the World,” and has performed for over 23 million people in 48 states and in 71 countries on 6 continents, celebrating the African-American cultural experience within the American modern dance tradition. Carman de Lavallade and Alvin Ailey were friends and danced under the tutelage of modern dance choreographer/teacher Lester Horton. They eventually formed a company originally billed the de Lavallade-Ailey American Dance Company, where de Lavallade was a guest performer with Ailey, a Texas native, who had moved to Los Angeles in his early years. He eventually took control of the company and history was made with his historical works such as Revelations, an Ailey company mainstay in Black American culture and a major draw for the company worldwide. To attend to an Ailey performance is to view high caliber athletes who choose dance as their vehicle of expression. Their training regimen and dedication are evident aesthetically, emotionally and spiritually. Ailey draws the audience in with the majestic contoured movements, enchanting lighting design, deviant choreography, and ambitious scores. Timeless Ailey – Excerpts from original and rarely seen ballets choreographed by Alvin Ailey, including Blues Suite, Streams, Mary Lou’s Mass, The Lark Ascending, Hidden Rites, Phases, Opus McShann, Pas de Duke, and For “Bird” – With Love, Memoria, Night Creature, and Cry. 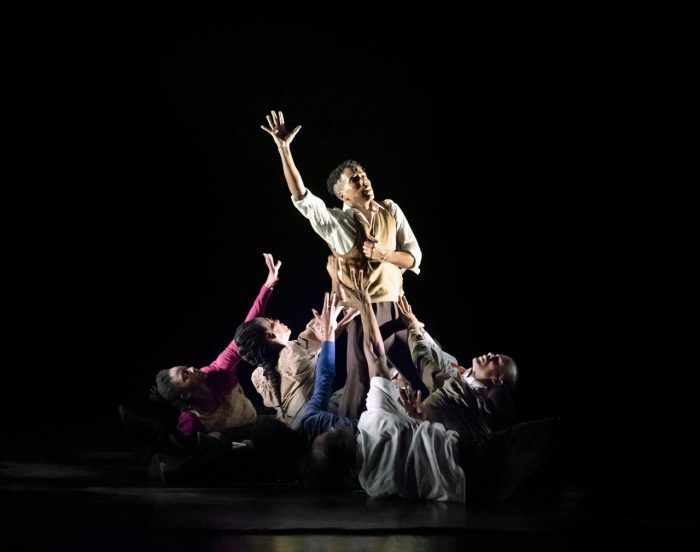 Trailblazers – Lazarus (Rennie Harris – Ailey Company West Coast premiere) and Revelations (Alvin Ailey). 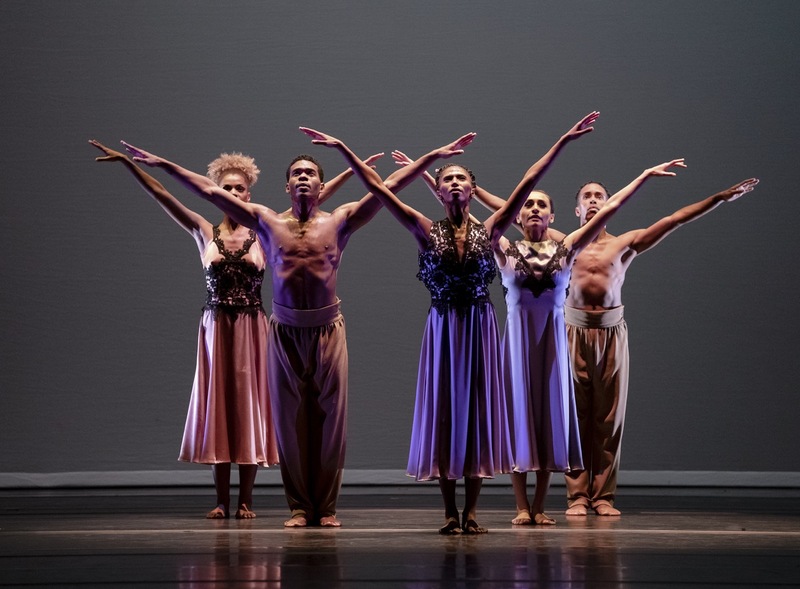 Bold Visions – Kairos (Wayne McGregor – Ailey Company West Coast premiere), The Call (Ronald K. Brown – Ailey Company West Coast premiere), Shelter (Jawole Willa Jo Zollar) and Revelations (Alvin Ailey). 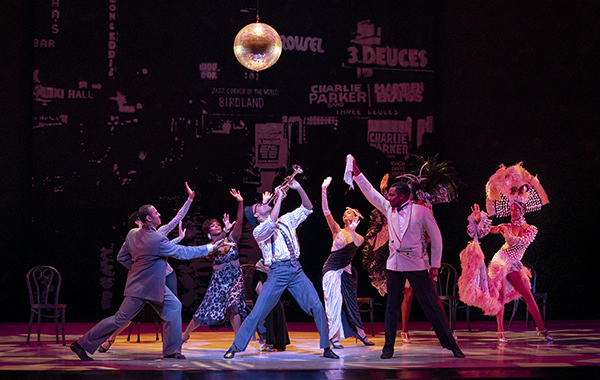 Musical Inspirations – Members Don’t Get Weary (Jamar Roberts, new works), Juba and Ella (Robert Battle, new production) and Revelations (Alvin Ailey). Ailey company members are comprised of a number of generations and backgrounds. Some rose through the ranks of the Ailey School, such as Khalia Campbell, while dancers Daniel Harder and Ghrai DeVORE have trained and worked their way through the Ailey ll ranks, under the mentorship of artistic director Troy Powell. 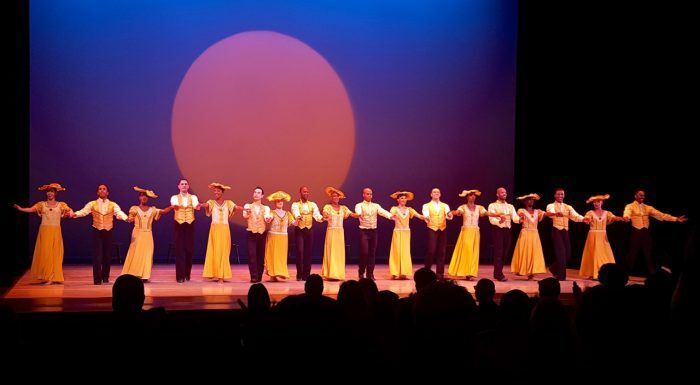 Some dancers gain experience and exposure through various professional dance companies throughout the world, including the five founders of the International Association of Blacks in Dance (Lula Washington Dance Theatre, Philadanco, Dallas Black Dance Theatre, Dayton Contemporary Dance Company, and Cleo Parker Robinson Dance). Ailey company member Michael Jackson is a former dancer with Dallas Black Dance Theatre. Jeroboam Bozeman and Jermaine Terry trained and toured with Philadanco, who artistic director Joan Myers Brown affectionately suggests is “an Ailey farm system” because of the number of her dancers to make similar transitions. Lula Washington has trained dancers to make the Ailey company but she has also been a home for dancers who leave or retire from the company, such as former Ailey star and renown choreographer Christopher Huggins, who credits Lula as the first to open her studio to him as a new choreographer. The Ailey dancers follow a legacy and tradition of dancers, from Judith Jamison, Dudley Williams, George Faison, Donna Woods, Desmond Richardson, and Lorraine Abbot, to Danni Gee, Christopher Huggins and Dwayne Cyrus, Olivia Bowman and Abdur-Raheem Jackson, and many others who left their mark and helped embed Mr. Ailey’s mission, vision and goodwill throughout the world. Through the vision of Battle, dancers Hope Boykin, Linda Celeste-Sims, Jamar Roberts, Daniel Harder, and Akua Noni Parker are taking the reins and marking their own marks within the company’s history. Mathew Rushing is a native of South L.A., gaining his early experience dance through teacher/ mentor Kashmir Blake of Inglewood; Lula Washington Dance Theatre (LWDT) of South Los Angeles; and Don Hewitt at the Los Angeles County High School of the Arts. Rushing has had an illustrious dance career with the Ailey Company and now serves as rehearsal director and guest artist. LWDT executive director Erwin Washington focused on Ailey’s newer work in Rennie Harris’ Lazarus. “Lazarus was pure Black dance, blending gospel hip-hop, African dance and modern dance. It was brilliant and it was moving, you couldn’t sit still. I was so impressed with Rennie Harris, his storytelling through his movement, how he integrated and fused together the contemporary popular street movement and party dance styles into the modern dance. Lazarus was about people but from a Black choreographer’s point of view,” said Washington. Los Angeles-based choreographer Lula Washington, who has a history with Alvin Ailey, still becomes emotional when witnessing his original work. 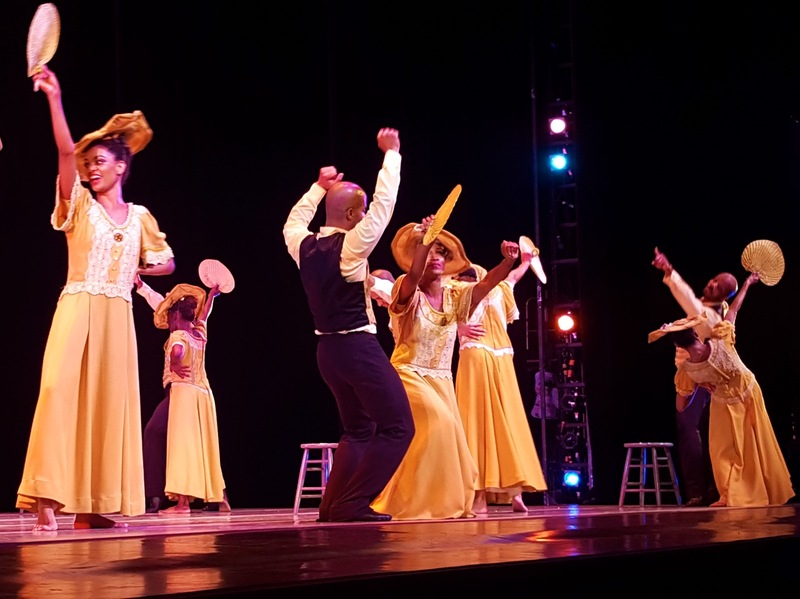 “I’m very appreciative that Robert Battle is continuing to bring in artists that have a story to tell and also continuing to preserve Mr. Ailey’s work,” the community leader said. Washington recalls her admiration for Masazumi Chaya, who danced with the company for 15 years beginning when Mr. Ailey was alive. Chaya is of Japanese descent. “Amazing dancers like Chaya, that was the beauty of Alvin Ailey’s original concept,” said Washington. 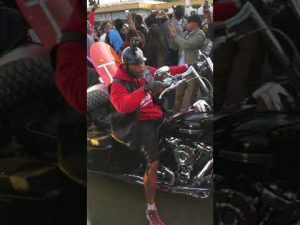 After the performance, Hope Boykin allows an interview as she eats protein and greens at a nearby restaurant. She avoids the bread these days to remain taut. The company veteran has just given her heart and soul in her performance in Shelter. “It’s my first week back, you know,” she says, referring to her rehabilitation from injury. No one is the wiser as she graciously accepts warm regards from adoring fans. 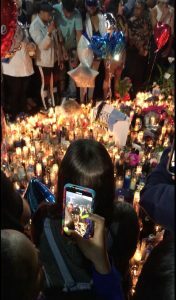 This story has been updated with new images and information.